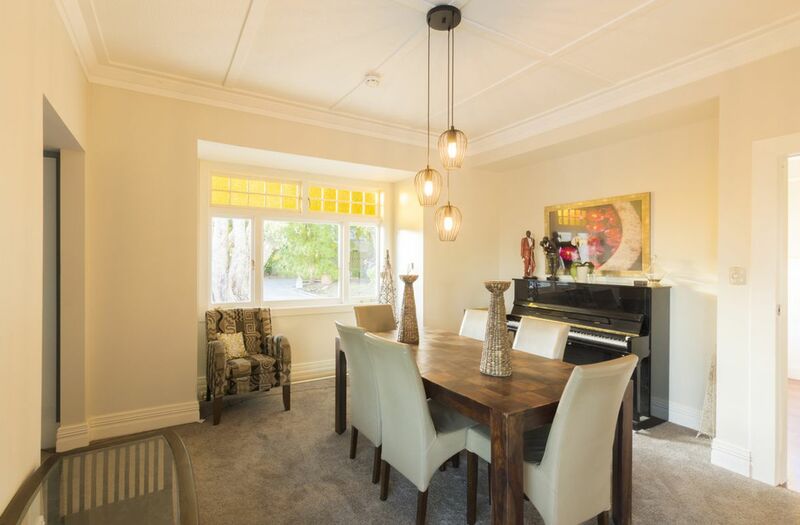 Positioned in the heart of Kensington, this much loved, modernised, and stunning home offers comfort and convenience cleverly mixed with the character and charm of old. 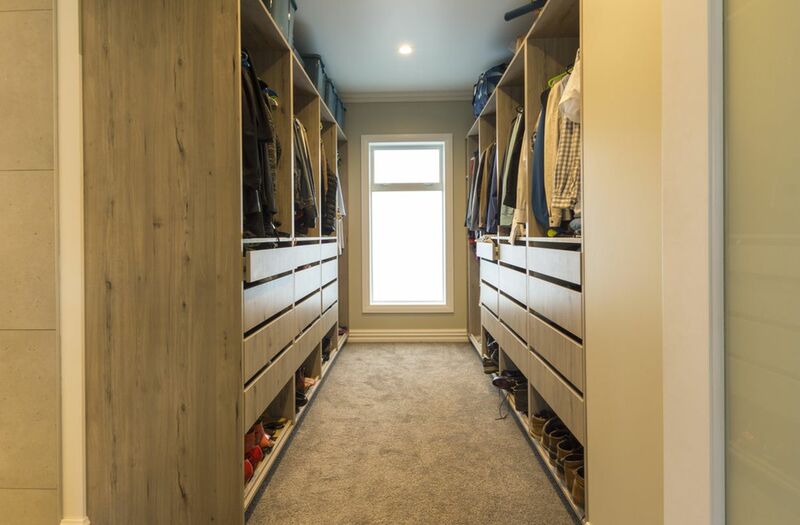 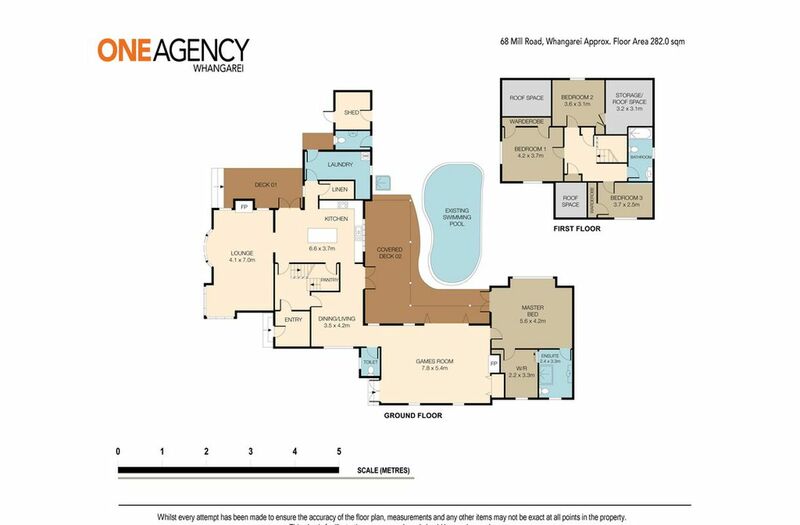 The generous floor area boasts multiple living spaces, excellent amenities, a kitchen with walk-in pantry and a huge island for family entertaining along with 4 bedrooms with a downstairs master and ensuite addition that will impress. 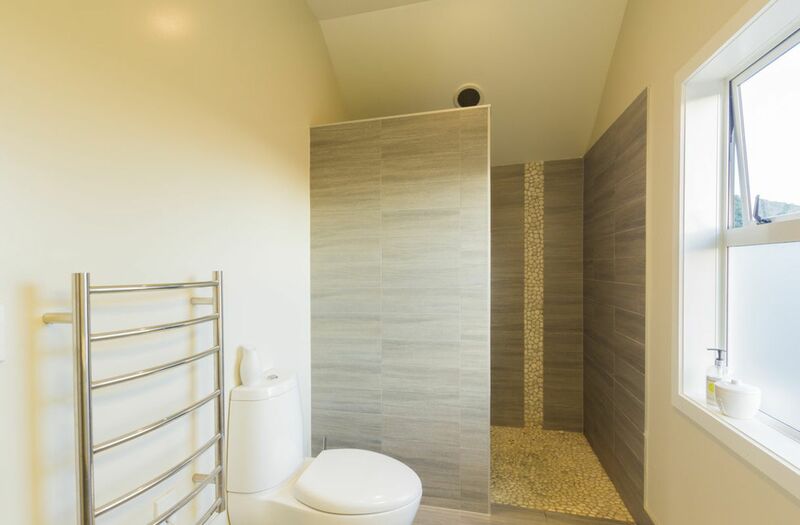 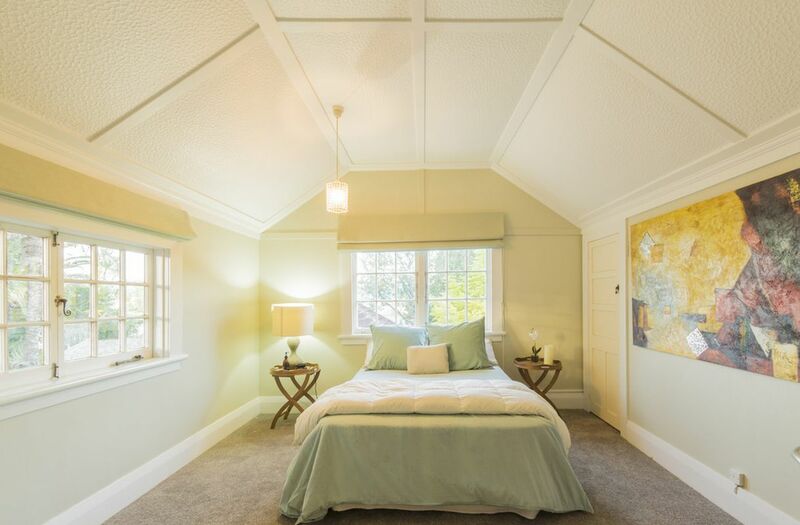 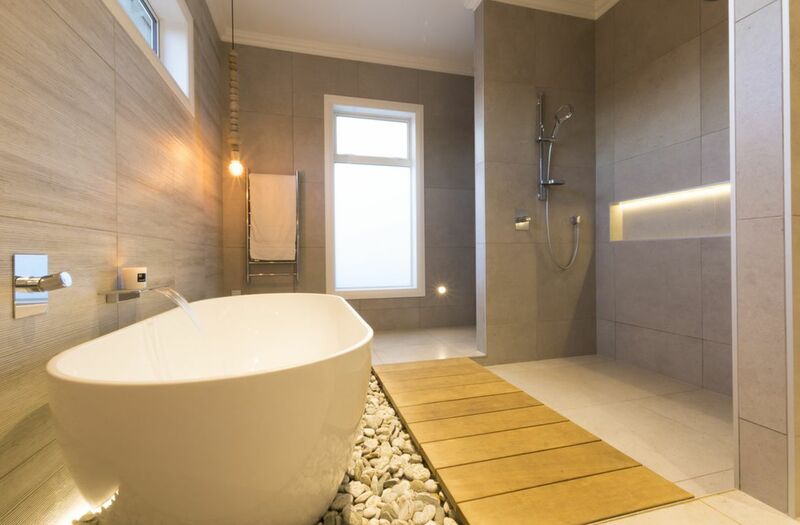 Complementing and servicing the living are 3 showers, freestanding bath, 3 toilets and a large laundry. 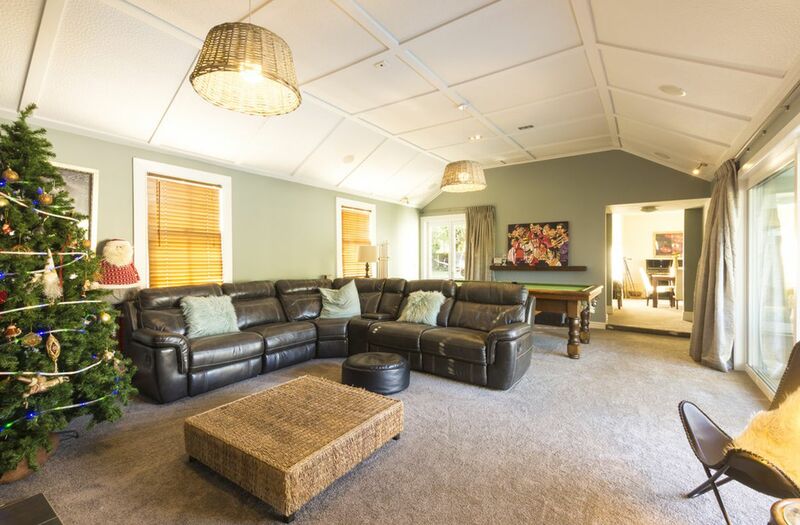 Digging deeper you will find the two living rooms and three of the 4 bedrooms have Sky connections while there are two separate built in sound systems, one serving the kitchen and outdoor area and the other in the games room with a 7 speaker home theatre system. 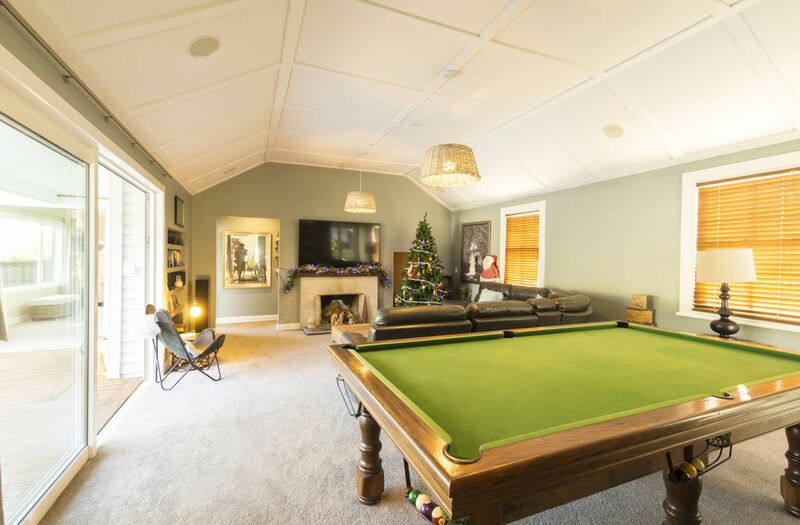 To add to your all year comfort is full underfloor insulation, a ducted heating and cooling system with 7 outlets throughout the home, a large open fire in the games room and a gas fire in the lounge. 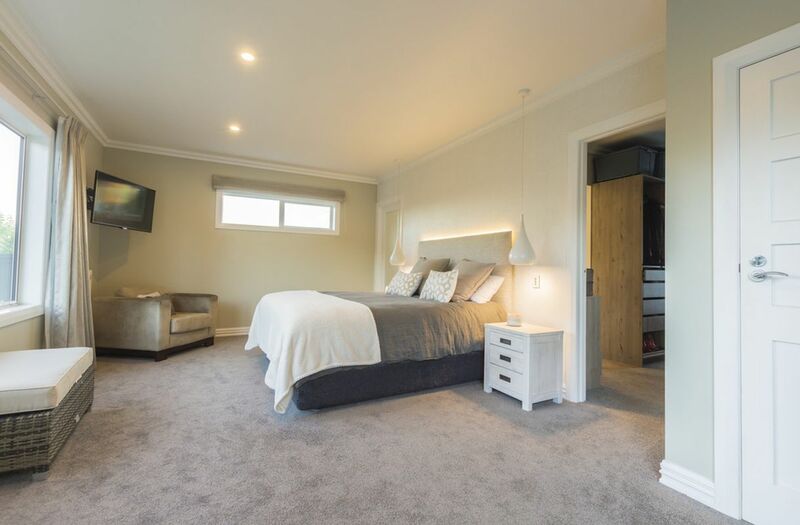 Recent refurbishment includes re-painting inside and out within the last 18 months, brand new window furnishings installed including plantation shutters to the lounge bay window and new SmartStrand carpet throughout the home. 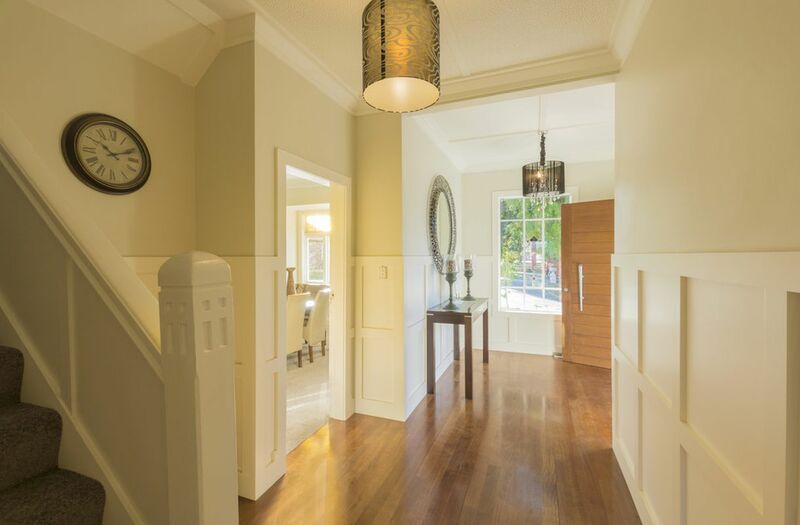 Over time the home has also been totally re-plumbed, completely rewired downstairs and 80% re-wired upstairs. 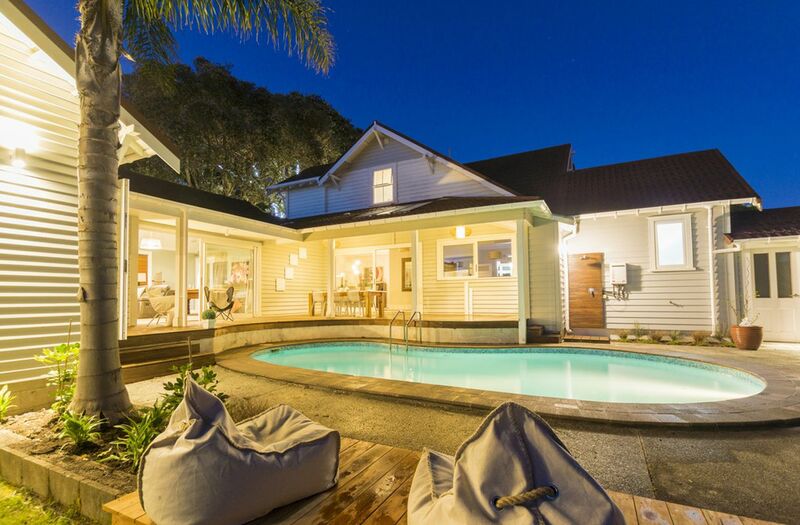 Outside the main entertaining verandah offers a built in BBQ and leads to the salt water pool and spa areas - a perfectly relaxing environment - serviced by a changing room with toilet, and an outdoor shower. 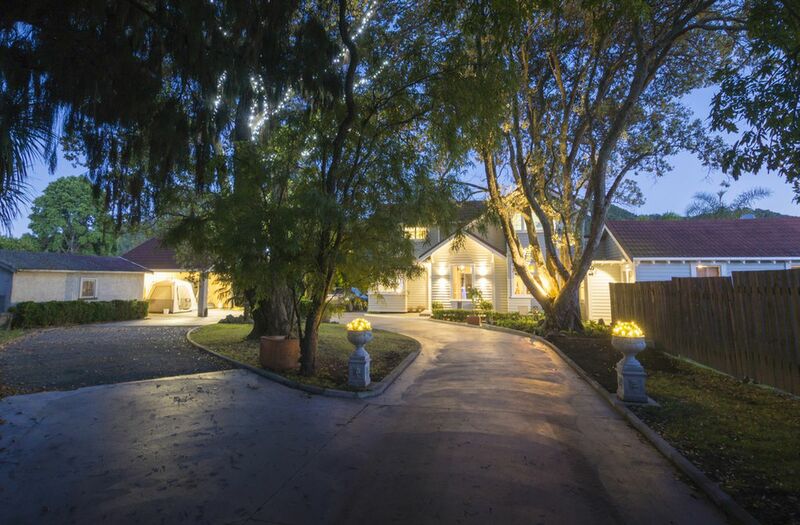 Further enhancing the offering is excellent parking, a double carport (with storage above) and 2 additional lockable sheds. 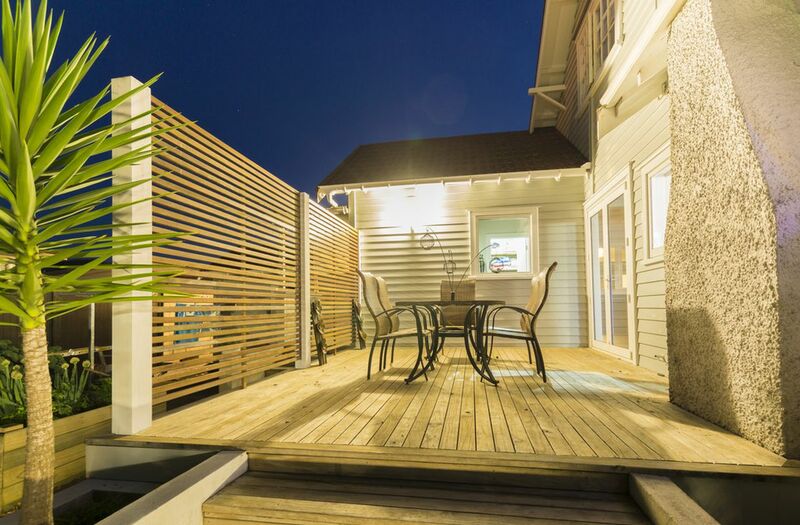 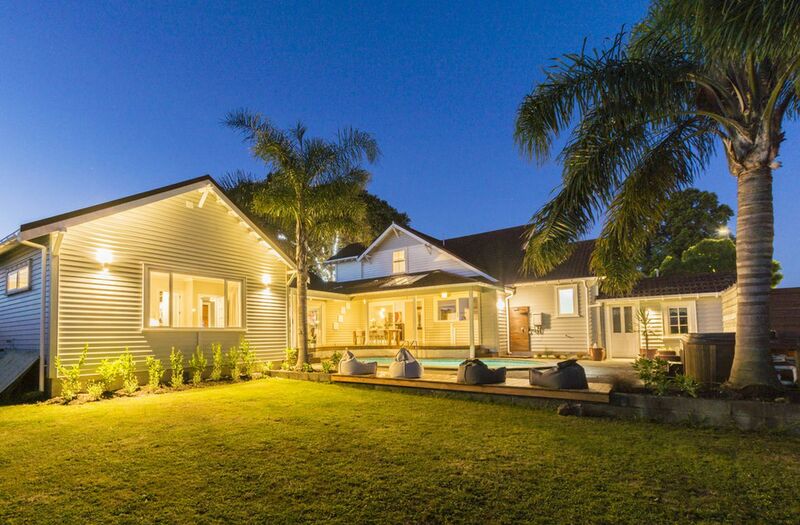 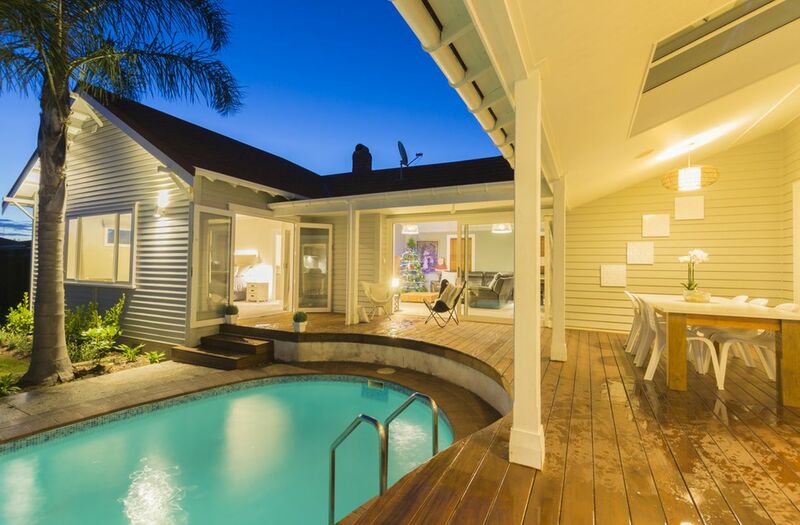 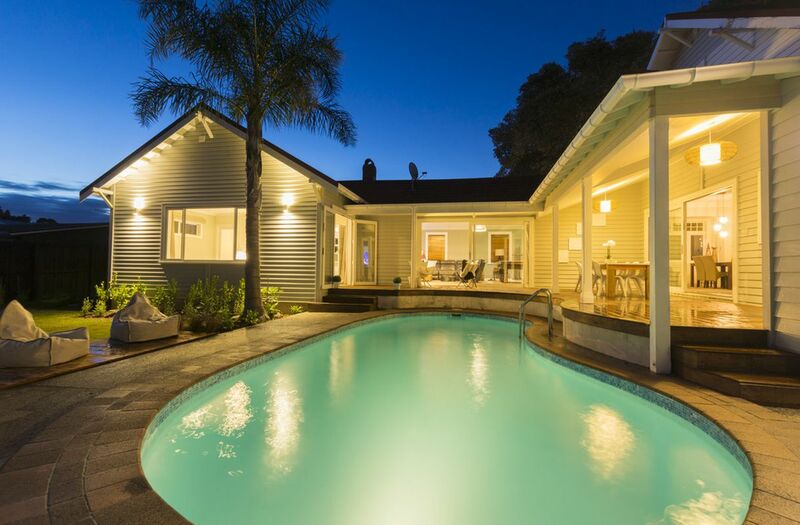 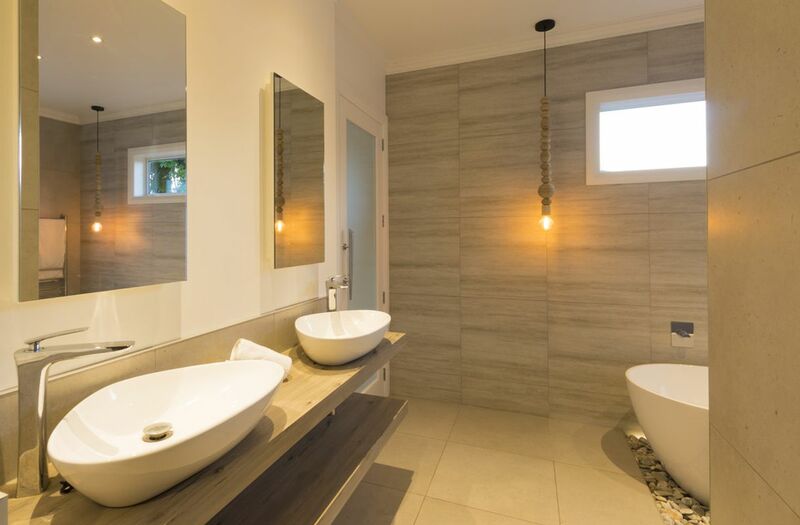 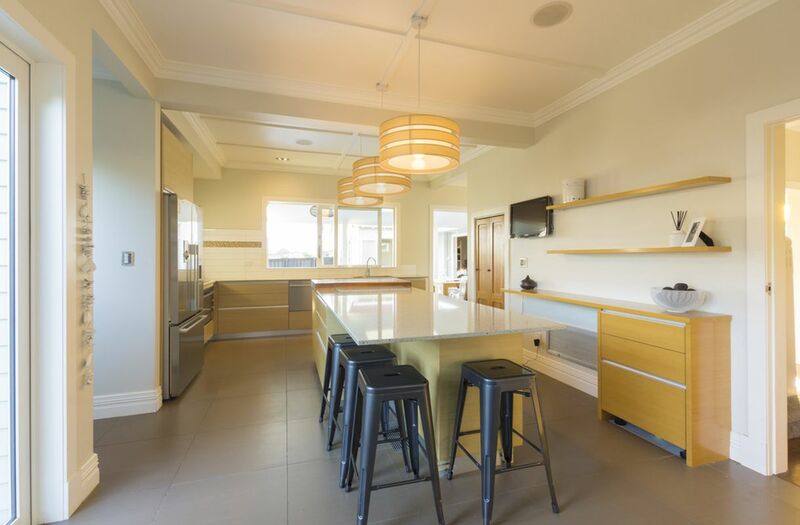 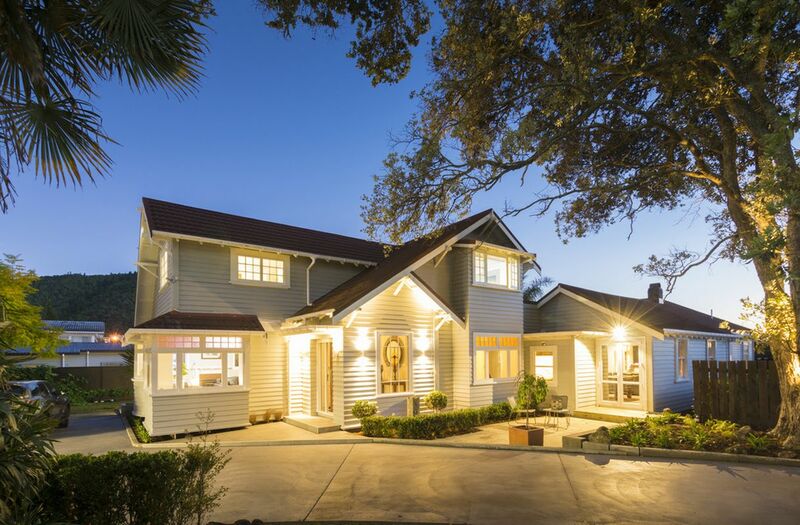 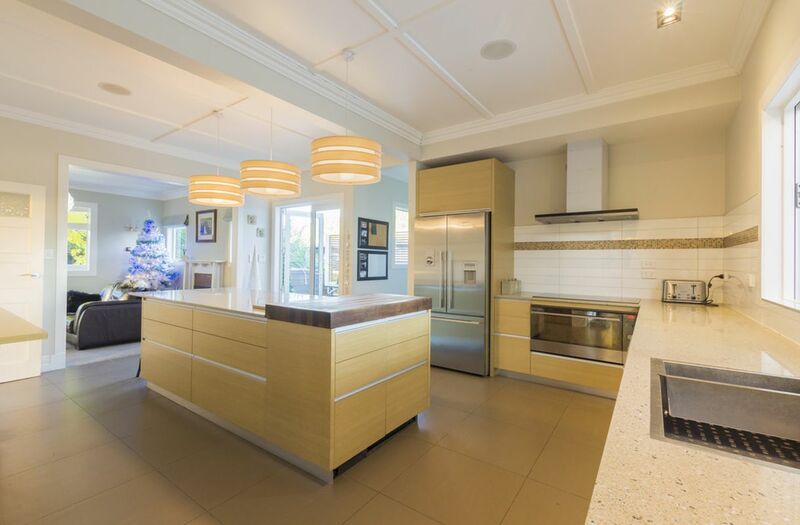 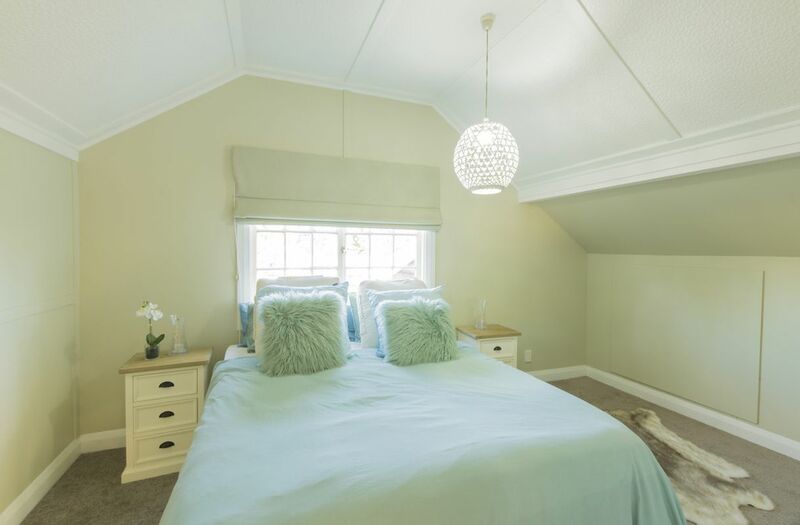 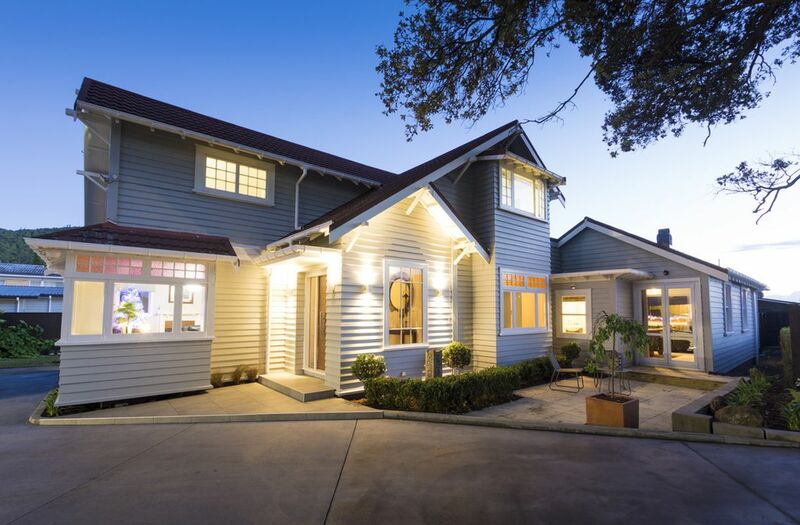 The property is also fully fenced and extensively landscaped including fruit trees and vege garden and outdoor lighting with LED lights to the huge Pohutukawa tree as you enter the property adding to the ambience. 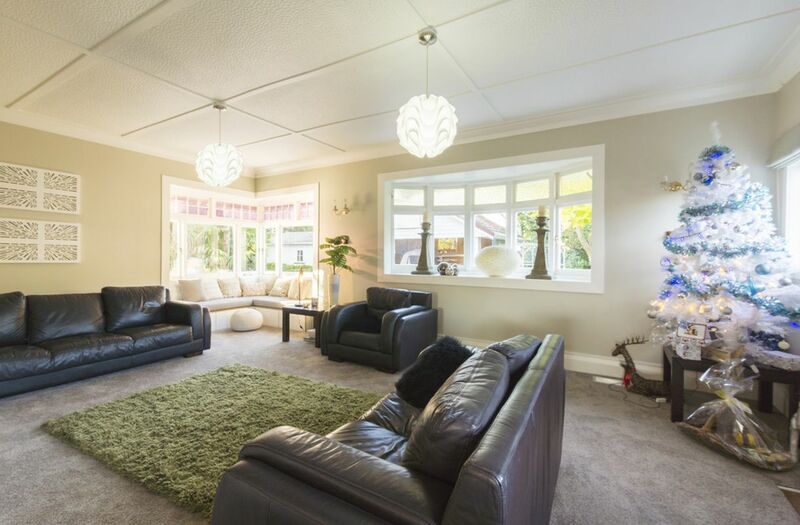 To view this rare inner city offering first hand make the call to Gary or Louise today!